No one species of grass will grow anywhere in the world, let alone in the United States. The United States has an extremely varying set of climates, from the cold winters of the Northern states to the dry deserts or Arizona, to the wet, swampy lands of Mississippi. Fortunately, several species of grasses have adapted well to these different climates and will thrive if cared for properly. 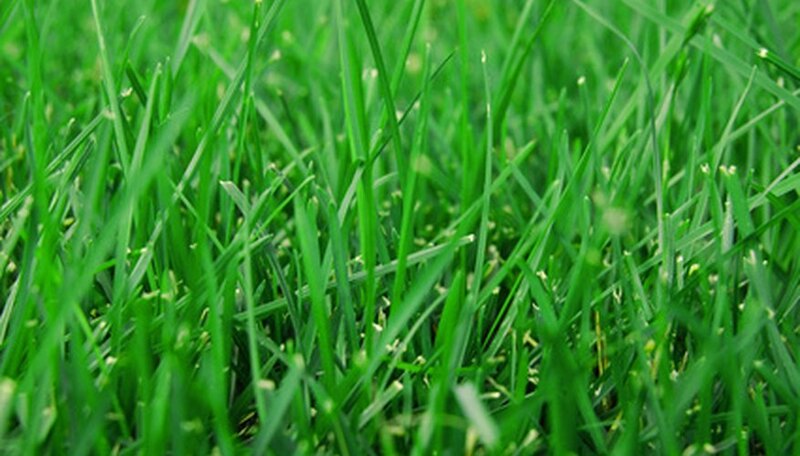 Throughout the world, there are approximately a dozen different species of ryegrass. Of those species, Italian ryegrass and perennial ryegrass both grow throughout the United States. Italian ryegrass is more prevalent through the South. Meanwhile, perennial ryegrass is more tolerant of cold temperatures, according to Turfgrass Specialist Richard L. Duble of Texas A&M University, though extreme winter temperatures can still kill. If it does die, you can simply replant it and it will continue to thrive just as it had before. Kentucky bluegrass, though not native to the United States, grows in about three-fourths of the states. It’s found in the Northern-most portions of the United States down into a transition zone ranging from North Carolina through the panhandles of Oklahoma and Texas. It’s also found in the Western states because it can grow with irrigation. Kentucky bluegrass is a cool season grass, however, and does not thrive in the heat of Southern states such as Florida, Louisiana or Georgia. Zoysiagrass is a warm season grass that originates from Asia, it may also go by the names of Manila grass, Japanese lawn grass or Korean lawn grass. Zoysiagrass is the opposite of Kentucky bluegrass, as it is prevalent throughout the southern portion of the United States, but only extends as far north as Maryland. Bermudagrass is another warm season grass that is popular in tropical and subtropical areas of the world. Some varieties of bermudagrass are extremely tolerant of salt, making this grass popular for use along the coastal areas of the United States. Bermudagrass can be found on coastal areas in the United States as far north as New Jersey. It is also found along the Gulf Coast as well as in New Mexico, Arizona and along the coasts of California. Home Improvement Depots: When Is The Best Time To Plant Grass Seed?